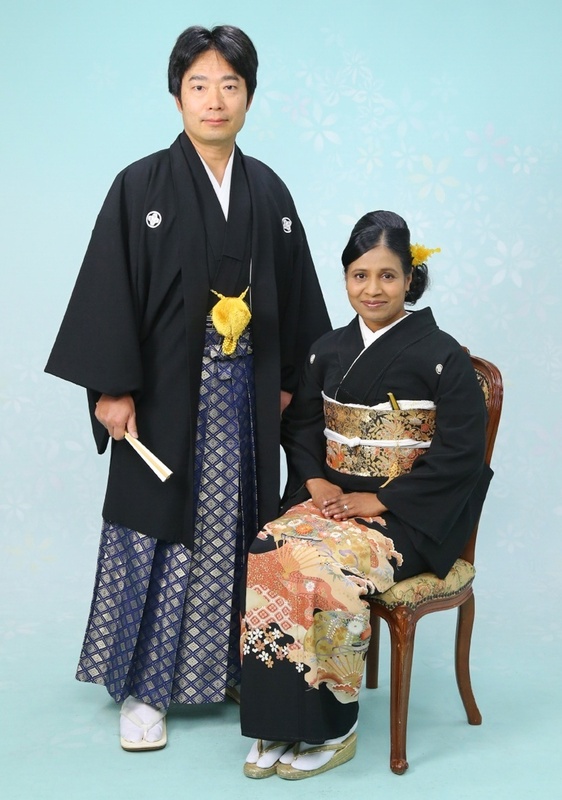 Hubby and I had been to our home in Ichinomiya City during the New Year holidays. I should mention here that there are still a few places or events hubby and I visited in 2016 about which I have yet to write. I was actually thinking of skipping writing but hubby feels that this blog is a sort of our web diary, so I decided to write about those places and events after this blog post. During the New Year holidays, hubby and I went to our home in Ichinomiya City of Aichi prefecture and also met a few of our relatives in the city. On 29th December, we left our home in Yurihonjo City at 12.30 pm and reached Akita Airport after about 45 minutes of car drive. Our flight to Centrair Airport in Aichi prefecture was at 4.30 pm. We still had a lot of time, so we had lunch at a restaurant and bought a few souvenirs for relatives from a kiosk at Akita Airport. After about an hour of flight, we reached Centrair Airport. From there we took a train and reached Ichinomiya Railway Station after another 45 minutes. 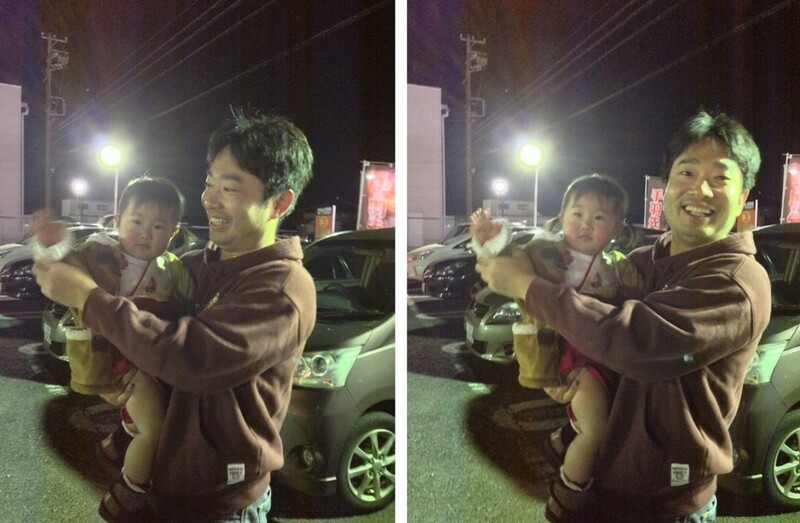 My father-in-law and his wife were waiting for us at the station and we directly went to a restaurant and had dinner. Finally we reached our home in Ichinomiya at about 9 pm. We were rather tired due to all the travel, and went to bed immediately. On 30th December, hubby and I just stayed at home. In the afternoon, we cleaned our home and watched some local television programs. In the evening, hubby did some physical exercises at home. In between all the exercises, he tried to strike a Cristiano Ronaldo pose. It was too funny to see him in such a pose. Afterwards, he practiced some golf swings without clubs as he was to go for playing golf the next day. On 31st December, father-in-law, his wife, hubby, and a few other relatives went to play golf at Springfield Golf Club in Tajimi City of Gifu prefecture. They left home at about 6 am. I am not at all interested in golf, and so I preferred to stay at home and relaxed all day. In the afternoon, hubby’s sister and her two daughters visited our home. It was nice to chat with them, play some card games, and later practice volleyball skills at the front yard of our home. It was fun to practice volleyball drills without a net or a court. At about 5.30 pm, hubby and father-in-law returned home after playing golf. Later in the evening we all had dinner at a Chinese restaurant located near our home. On 1st January 2017, hubby and I just relaxed and enjoyed being at home. January 1st is considered to be a very auspicious day in Japan, and is best started by viewing Hatsuhinode which is the first sunrise of the New Year. Hatsuhinode is traditionally believed to be representative for the whole year that has just commenced. So awakening before sunrise is considered important to view the first sunrise of the year. However an apartment complex blocks the east side of our home, and therefore hubby and I watched the sun that had already risen fully and was peeking over the roof of the apartment complex. In addition, a couple of days ago, we made preparations to display several Kagami Mochi at various locations inside our home. Kagami Mochi is a traditional New Year decoration which is supposed to ward off fires from the house for the following years. It was nice to look at the display of Kagami Mochi which looked so elegant. Afterwards we had a late simple lunch at home, and watched some movies on the television. 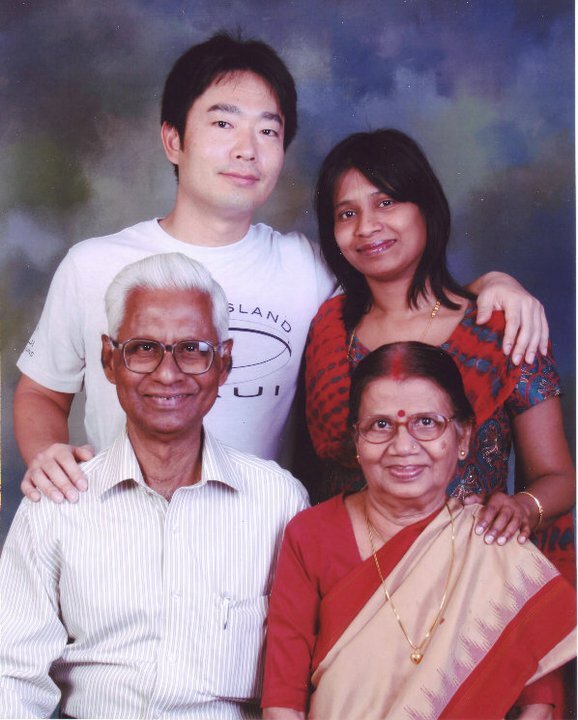 In the evening, a family-friend couple visited my father-in-law and his wife. Since father-in-law’s home is interconnected to our home, hubby and I also visited them and chatted with everyone for about an hour. We had a nice time playing with the little daughter of the family-friend couple. She is so cute. Later we all had dinner at a nearby Japanese-style family restaurant named Sagami. The first day of the year passed just relaxing and being lazy, and having good food with friends and family. On the morning of 2nd January, father-in-law, his two older brothers, his wife, hubby and I went to play bowling at a facility named Wonderbowl located inside Apita Shopping Mall in Inazawa City. We played bowling for about 1.5 hours. Father-in-law and his wife are experts in playing bowling, and I saw father-in-law giving advice to his older brothers. It was really so much fun to play bowling. Later we all had lunch at a Chinese restaurant located inside the mall. Afterwards hubby and I went to a game center also located inside the mall, and spent about half an hour playing UFO catcher. We spent a nice fun filled morning at the shopping mall. In the afternoon, hubby and I visited a shrine named Masumida Jinja located in Ichinomiya City itself. One of the customs and traditions during the New Year is to visit a shrine or a temple. This first trip to a shrine or a temple is known as Hatsumode. Hatsumode festivities are held at practically every shrine and temple across the country. People often visit a shrine after midnight on 31st December or sometime during the day on 1st January. Actually it is also a sort of annual ritual and tradition for us to visit a nearby shrine wherever we are during the New Year holidays. This year, although we were unable to visit a shrine on the first day itself, we visited Masumida Jinja Shrine located in the city in the afternoon of 2nd January. In fact, we had visited the same shrine last year also for Hatsumode. On reaching the shrine, we noted that there was a big crowd of people in front of us waiting to offer their prayers at the Prayer Hall of the shrine. We had to wait for almost an hour to offer our prayers. Finally on reaching the altar of the Prayer Hall, I offered some coins into the offertory box, clapped my hands twice, and prayed for the well being of my family as well as friends. Afterwards we bought a pair of cute rooster dolls from a shop located inside the shrine premises. Rooster is this year’s zodiac animal and is supposed to beckon good luck. 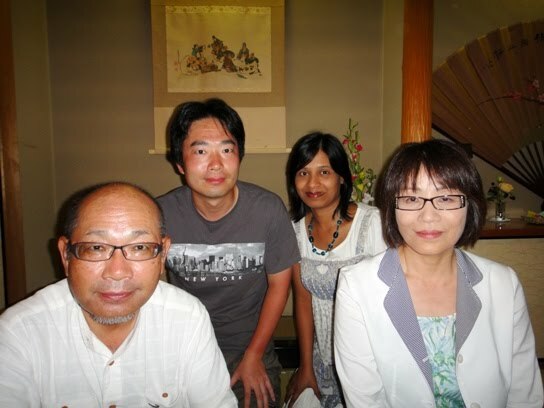 On 3rd January, father-in-law, his wife, and hubby again went to play golf at Springfield Golf Club in Tajimi City. They left at about 6 am, and I stayed at home and relaxed all day. In the afternoon, hubby’s sister and her two daughters again visited our home. In fact sister-in-law came to drop off her daughters who stayed overnight with us. It is always nice to chat with them. Hubby returned home after playing golf at about 4.30 pm. Then we all had snacks and tea, and the younger niece played some Shogi games as well as card games with her uncle. Soon afterwards sister-in-law left and both the nieces started doing their school related homework. Hubby and I were really amazed to see them do their homework earnestly without anyone telling them to do so. Later in the evening, I made Japanese style curry-rice for dinner. Hubby and younger niece helped me in frying some food items. We all had fun cooking and eating dinner together. Afterwards both the nieces took bath and soaked in the bathtub for quite some time. They looked very relaxed and fell asleep by 10.30 pm. The next morning on 4th January, I made breakfast and fed the girls. Afterwards they practiced volleyball skills with their uncle at the front yard of our home. It was fun to watch them practice volleyball drills without a net or a court. Younger niece had brought her jumping rope with her, and hubby practiced jumping rope for some time. He seemed to enjoy it very much. After practicing volleyball and doing other physical exercises for about an hour, the nieces and hubby were rather tired. So they played some card games for some time. At about 11 am, we went to play bowling at Wonderbowl facility located inside Apita Shopping Mall in Inazawa City. Father-in-law and his wife also accompanied us. We played bowling for about 1.5 hours. It was really so much fun to play bowling. Later we all had lunch at a Sushi restaurant. After lunch, father-in-law and his wife returned home. Hubby and I took the girls to a shopping mall in Ichinomiya, and bought a few gifts for them. We drove the nieces to their home at about 4.30 pm. It is always a pleasure to have the nieces stay at our home. We had a nice time with our relatives. In the evening, hubby and I visited my late mother-in-law’s grave located near our home, and offered our prayers. Hubby cleaned the gravestone with water, offered flowers, and lit some candles and incense sticks. Afterwards, we returned home and had dinner while watching some television program. On 5th January, hubby and I were to return to Akita. We left our home in Ichinomiya at about 12 noon, and took a train from Ichinomiya Railway Station to Centrair Airport. At the airport we saw traditional New Year decorations called Kadomatsu which looked amazing. Our flight to Akita Airport was at about 3.30 pm. We got nice views of the snow-covered Japanese Alps mountain ranges from the airplane. We reached Akita Airport at about 5 pm and it was already quite dark. Immediately after getting down from the airplane, we realized that we were back to cold harsh winter of Akita. It was too windy and snowing heavily that time. In fact, during the car ride from the airport to our home in Yurihonjo City, it snowed the entire way and there was snow all around us. very nice description with relevant pics. specially liked the Ronaldo pose.